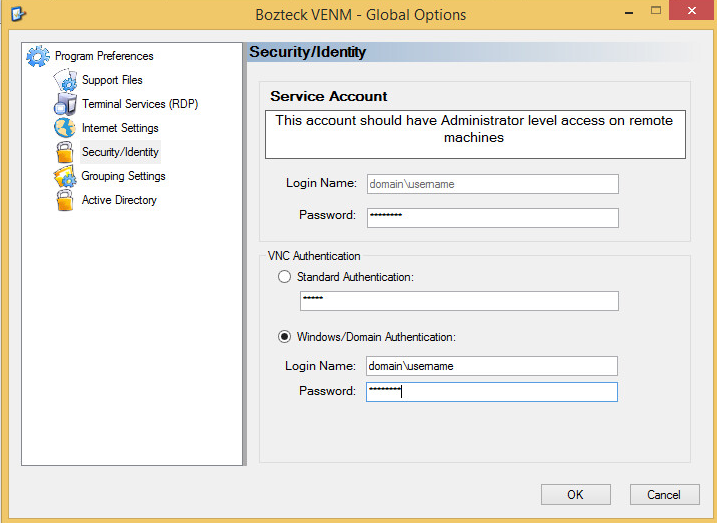 Bozteck VENM Remote Desktop Manager is the Swiss Army knife for System Administrators all over the world. This article will guide you though getting started from scratch so that your experience with VENM is seamless right out of the box. If you have not yet downloaded Bozteck VENM, you can do so here. 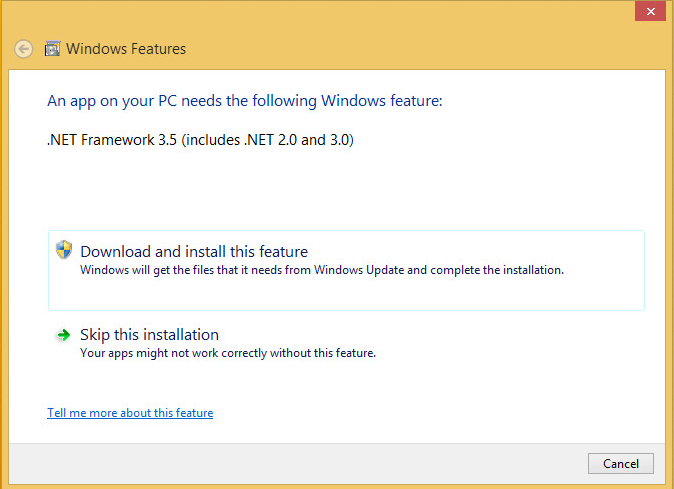 Windows 8 and Windows 10 do not ship with the .NET Framework 2.0 installed by default. When you launch VENM for the very first time, you will see a dialog box like the one below. As long as you are connected to the Internet, you can simply click on “Download and Install” and it will set everything up for you. Bozteck VENM uses PowerShell, WMI, and other API’s to perform the administrative functions that you want on remote computers and devices. In order to have the proper access to do this, you will need to add a service account to the main Preferences section of VENM. 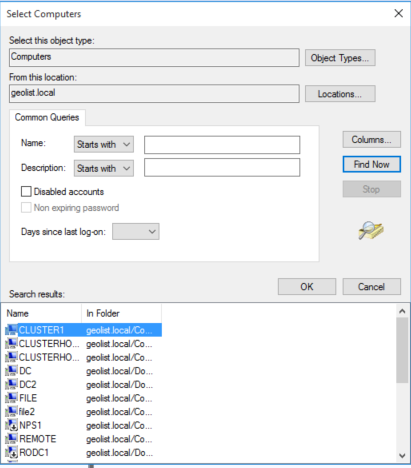 You can override this service account in the Group or Computer properties, also. From the main VENM window, click on the Preferences button in the toolbar. 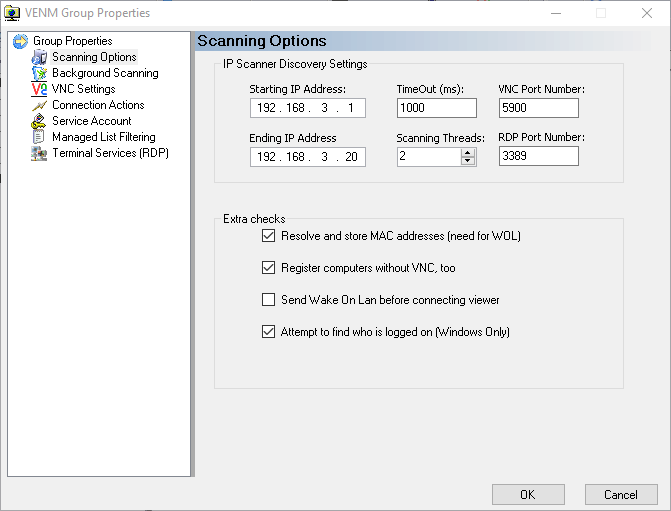 VENM can scan your network on an IP range for any computer that is running VNC or has RDP enabled. Optionally, you can also tell the scanner to include any device that pings so that you can manage them using many of the other management features in VENM. While you can always get to the screen below by right-clicking an existing computer and viewing it’s properties, you can add a computer this way by Clicking on Add Device on the toolbar and choosing to do so manually. 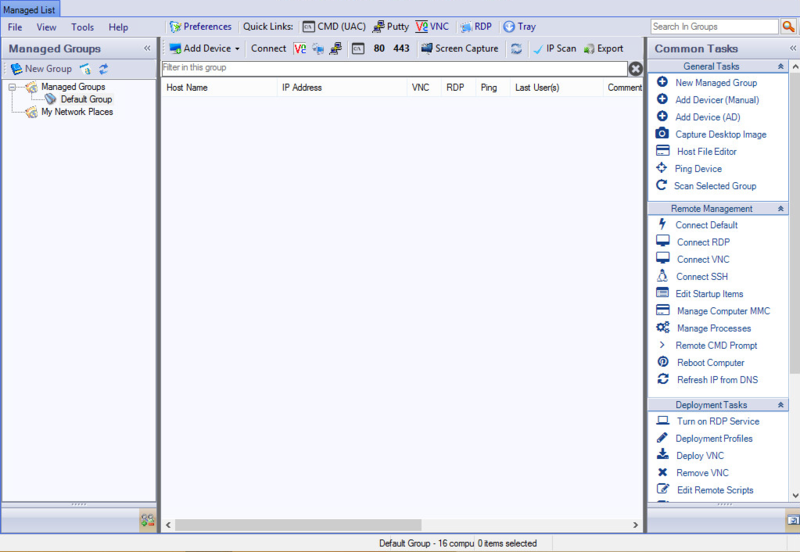 To add a device manually, you first add an IP address and resolve it to a host name (or do so in the reverse order). 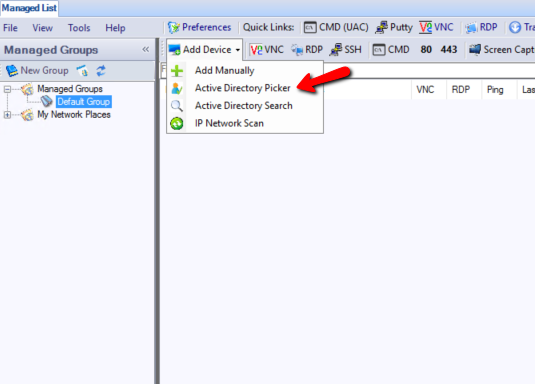 You can also select from a drop down multiple ways to connect to this device when it is double clicked upon in the device list. The drop down contains a few built-in options along with any custom actions that you may have created on your own. 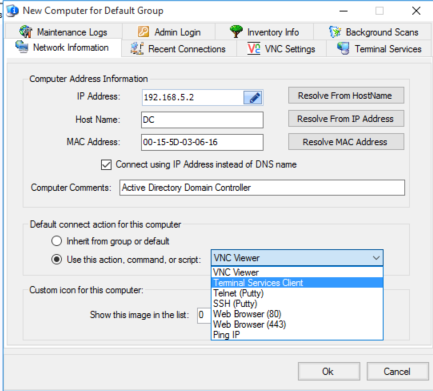 This article walked you through setting up Bozteck VENM Remote Desktop Manager and creating new devices. There are an endless number of things that you can manage with VENM so please take some time to click around the console and try out it’s features in a lab. 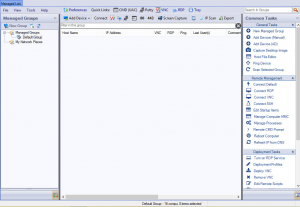 This entry was posted in how-to, howto and tagged bozteck, remote desktop, venm, vnc. Bookmark the permalink.